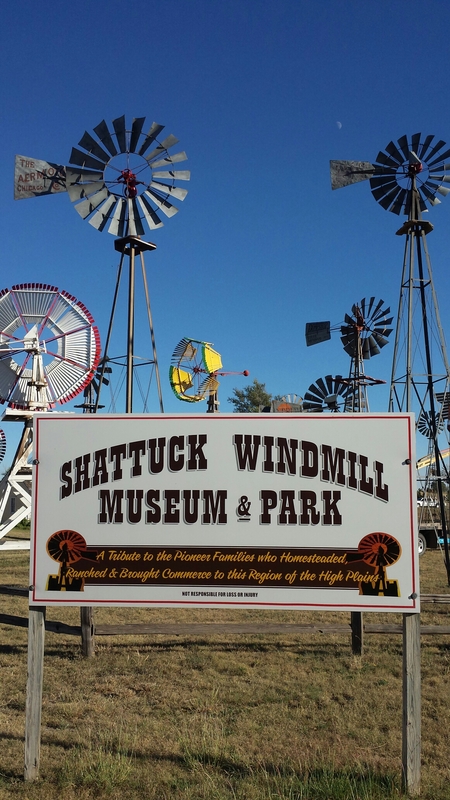 Shattuck Oklahoma is home to one of the few windmill museums & parks in the U.S.A. 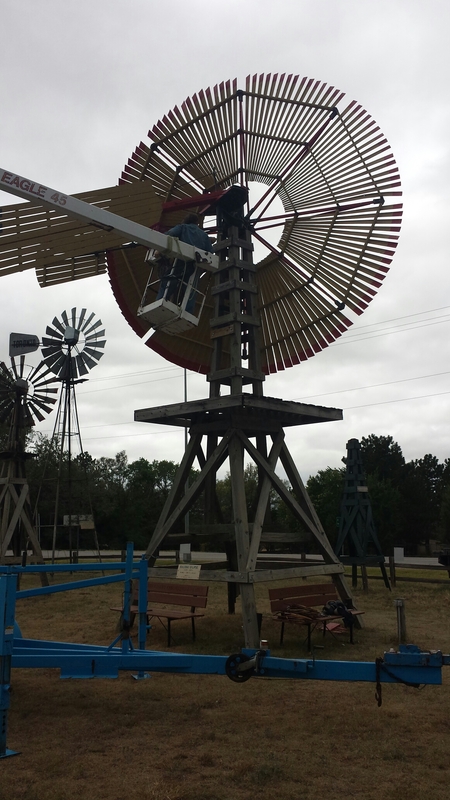 Celebrating its 20th anniversary in 2014, the all volunteer work week crew gathers annually to service and restore the antique water pumping windmills. 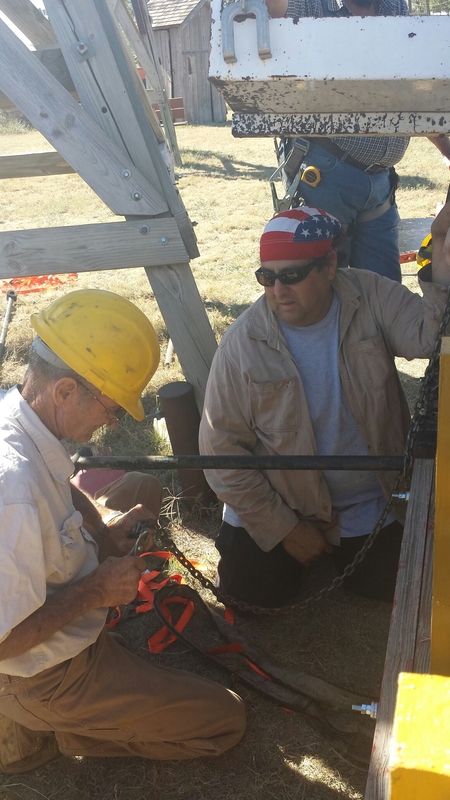 Vernon from Oklahoma and Eddie from Texas were part of crew who built a new tail for the 18 Railroad Eclipse windmill. 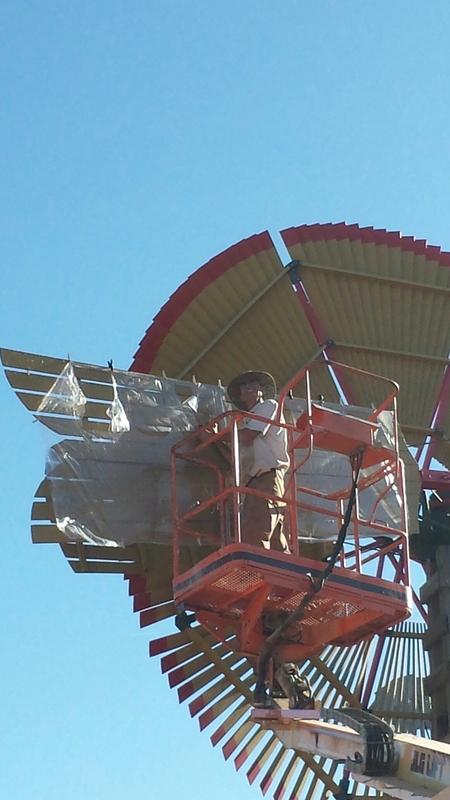 tail and servicing the Eclipse now. Robin, I think you have some prize winning photos here. Definitely suitable for framing! 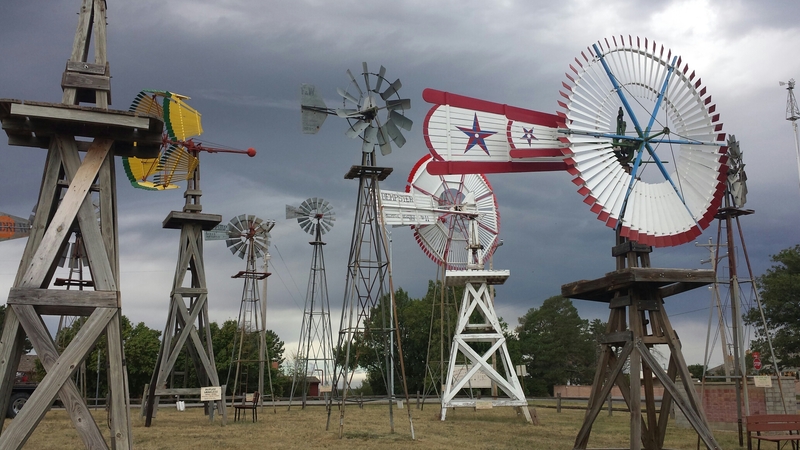 Or maybe a windmill photo/story book for kids!